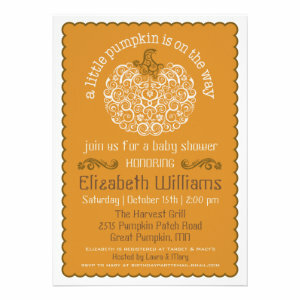 If you are expecting a baby around Halloween or just looking to throw a baby shower party at this spooky season then these lovely announcements can help get your party started. 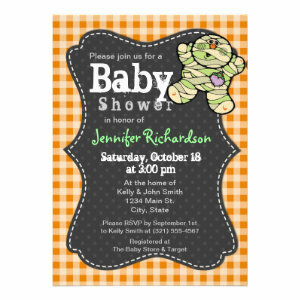 These cute Halloween Baby Shower Invitations are the perfect way to announce to family and friends that there will be a 'new kid in town'. Filled with fun characters like, smiling ghosts, adorable spiders and a couple of curious owls. There are also lots of other Halloween related goodies like pumpkin Jack-o'-lanterns, bats, and plenty of orange. 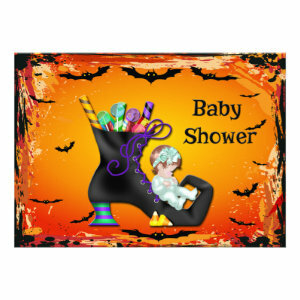 You can find Halloween baby shower invite for boys, girls and some gender neutral ones too for keeping it a surprise only to reveal it to guests at the party. 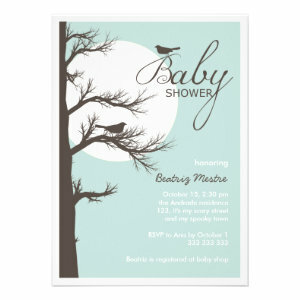 All of the baby shower invitations can be personalized with your own text, font, colour, style and layout. With several choices of paper type and finish, so you can have the perfect invite for your party. 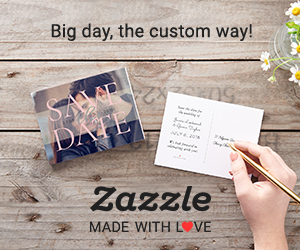 A great way to take the fuss out of sending invitations whilst still giving a personal feel. It's also a lot more cost effective than sending bespoke invites. 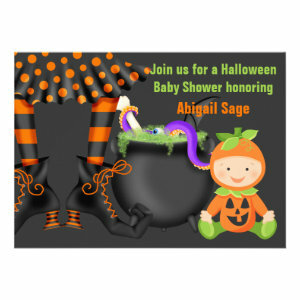 Invite guests to your Halloween baby shower party with one of these gorgeous personalized Halloween Baby Shower Invitations.